Of course, this is all conjecture, as there’s no way Huang could know how the Radeon VII actually performs since it’s not available yet. Indeed, Huang went on to boast that the GeForce GTX 2080 is sold by every add-in card vendor while the Radeon VII is an unknown. 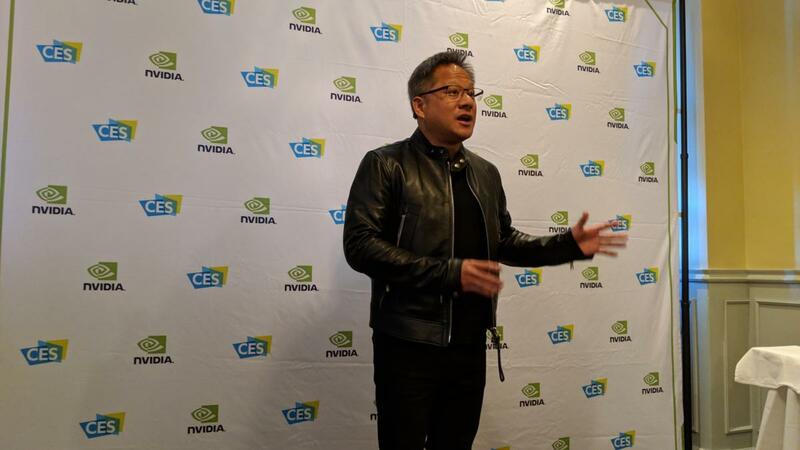 Huang spoke before a small group of reporters and addressed a wide range of topics including the new Radeon, self-driving cars, the dearth of ray tracing games, and FreeSync. On Sunday, Nvidia announced it would begin supporting Vesa Adaptive Sync, aka AMD’s FreeSync for variable refresh rate gaming. While some have painted this as Nvidia finally caving, that doesn’t seem to be Huang’s view. Huang’s criticism can probably be easily dismissed as hyperbole as clearly the bulk of AMD Radeon and FreeSync users have had no issues. However, he does have data from his own labs that say there are problems from Nvidia’s point of view. The company tested 400 FreeSync panels and found only 12 that would turn on G-Sync automatically. The others require a manual override. When asked about the negative reaction that the company’s GeForce RTX cards have received from more budget conscious customers, Huang was contrite. Huang didn’t snipe at just AMD. When asked what he thought of Intel’s new push into graphics, Huang commented that Intel’s team is basically someone else’s. Huang did say, however, that Nvidia actually works with Intel more than it works against them. “There’s a lot less competition between us than there is collaboration,” he said. “[But] AI is going to be the future of computing.” With Moore’s Law basically “over” Nvidia is primed to be the force of AI. When asked if Nvidia would make another Shield tablet or gaming device, Huang said only if the world needed it—and right now, it doesn’t. Be he was equally blunt when asked about the supremacy of gaming PCs. “When can streaming be as good as a gaming PC? The answer is never,” he said. The problem is simply physics and the speed of light. Streaming gaming can never match a graphics card in a box in terms of latency and image quality. But, he said, that doesn’t mean game streaming isn’t viable; it’s just that the needs an enthusiast gamer don’t match that of a casual gamer. The PC is never going to go away, he said, which is good for Nvidia.